From $44. Ready in 1 - 2 day(s). This is our 100% genuine, natural silk. 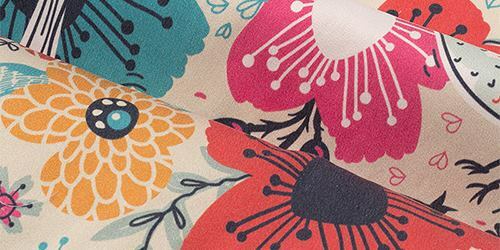 This lightweight custom made printed Silk Satin fabric comes in a choice of 1.92oz or 2.51oz and is made of a satin weave, with an organzine warp, using crepe twist yarn. This is a semi-transparent fabric which has no elasticity, just a little give in the diagonal direction of the cloth, and otherwise taut all over. 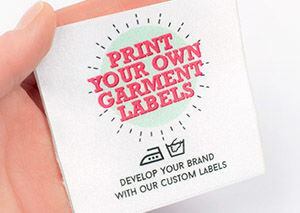 Our digital print Satin Silk fabric is a very durable fabric, which holds up to general everyday wear and tear. Digital Silk printing is one of the best ways to print, it is so gorgeous the results speak for themselves. We always suggest to order a fabric sample or swatch pack so you can see how the colors translate on our natural silk fabric. The front texture is a smooth, sleek, graceful fabric with a glossy shine to the finish of the lustrous face. In contrast, the back texture is just as smooth and soft and flowing but with a crepe finish to it, which actually changes the texture a lot, but still keeps the overall feel soft and fluid. The way this fabric feels on the body is so effortless that it almost feels weightless, it’s very soft and moves over the skin very easily. When it comes to the drape, the material flows and falls in natural waves and folds. Being 100% natural fabric, no chemicals have been used on the fibers of the fabric. With a shiny finish on the face and a matt on the reverse, the detail of the final print is very fine and produces very crisp lines with rich block colors. Precision is clear here, intricate work will show up perfectly. 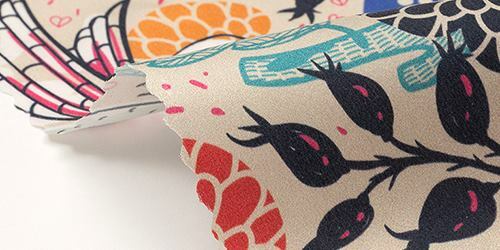 Your print will also have a stunning luminosity, which you can only get with natural fabrics. We print silk on one side, and whilst there is complete show through on the Georgette silk, this Silk Satin has limited show through (20%) and in essence one side looks unprinted. 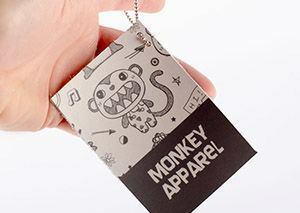 Due to the print process, large areas of solid color may show slight marbling lines. This is to be expected and we would advise avoiding large solid blocks of color if possible. This high quality silk has so many uses, it’s tough to choose just one. We offer the platform for you to apply your designs to silk scarves, wraps, silk ties, luxury garments, lingerie, dresses, and accessories. Your designs come to life on the highest grade silk with the greatest vibrant colors we can offer. We have lent our services to film and theater productions, for scene or dressmaking, and especially period piece work. Interior designers also use our digitally printed silk product for specific requirements in fine detailing and luxury finishes. I LOVE them! 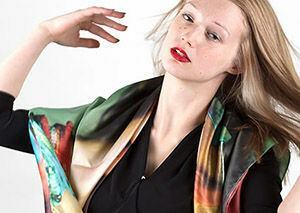 I had fabric printed to make scarves with silk satin and silk Georgette and all four scarves came out beautifully. The colors are so vibrant and the material has such a graceful drape. Contrado does an absolutely amazing job. Thank you! What Is the Difference Between the Silk Satin and the Silk Sensation? 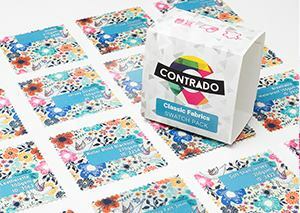 The Silk Satin is a 100% natural silk that we print here in our studios. We have a range of naturals but this is by far the most popular and sought after. The Silk Sensation is almost identical in appearance, but it is a poly-based version. Can I get my silk hemmed? Yes, you can select hemming under the product options. 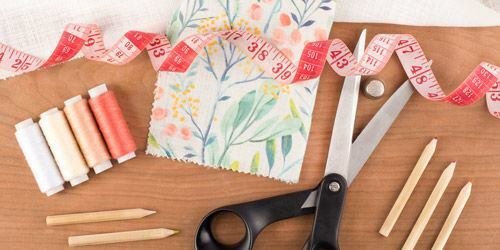 Make sure to add some hemming allowance to your customized measurements. Please see the print guideline above for more information. Is This Silk Suitable for Clothes? There is no question here, the Silk is perfect for clothing. Both sides are soft and light and ideal for summer wear. We see a lot of the silk being used to make scarves, so we add a hemming option just to be thorough.